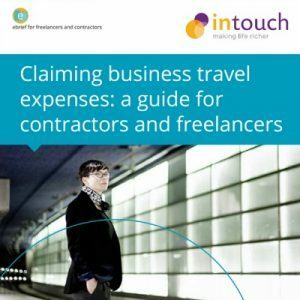 Could you be missing out on claiming all your business travel expenses? We all like to reduce our tax bills and by far the simplest way is to claim all legitimate expenses to set against income. Generally, travel and subsistence costs represent the most significant single category of expenses that contractors incur. But, all too often, contractors fail to claim everything they are entitled to. Although the rules on claiming travel and subsistence expenses are, not surprisingly, complicated; they can be very, very generous…but only if you know how they work! Intouch Accounting the personal online accounting adviser for contractors and freelancers, looks at what constitutes a business journey and what you can claim when you make one. What qualifies as a business journey? For most contractors, travelling between home and a client’s site will constitute a business journey, but conditions have to be satisfied to be certain that these journeys are tax deductible. Other types of journey are less complicated to identify the cost of as either business or personal, hence allowable or not. A visit to your accountant, bank, or agency is assumed to be for business purposes, other trips with a social or personal purpose are more obviously private. Let’s examine the guidance for the most frequent journeys, to see if and when travelling from home to a client’s site qualifies as business travelling. Is my workplace Permanent or Temporary? For contractors whose normal place of business is their home (the place from where they run their business), and it’s their normal place of work when not at a client site, this location will be their permanent workplace. An advantage they have over permanent employees is that business travel therefore commences from the point they leave home (their permanent workplace). Where contractors operate from a rented office that will be their permanent workplace. By establishing their home as their permanent workplace contractors travelling to a client’s site would logically be incurring allowable business travel to a temporary workplace. This is indeed the general rule, but it’s not the whole story.There are two principal tests which, when applied, can turn what may have been a temporary workplace into a permanent one… turning a tax allowable business journey into a disallowed one. In essence, a workplace is temporary if you only go there to perform a task of limited duration or for a temporary purpose. Has my temporary workplace become permanent? If a contractor attends a workplace for less than 40% of their normal working time, and provided they are performing a series of separable tasks which, when taken together, do not constitute the continuation of the same task, the location will be treated as a temporary workplace indefinitely. In these circumstances, there is no need to refer to Test 2 (known as the “24 month rule”). Unhelpfully, “Normal working time” is not clearly defined in the legislation, but will be based on individual facts. If a contractor works irregular hours, then an average may be appropriate. Where contractors work on daily or weekly cycles, it is these units of time to which the 40% test is applied. Where a contractor attends a workplace for more than 40% of their normal working time, or if they fail to establish that they are performing individual tasks and not a continuation of the same task (even though they spend less than 40% of their normal working time on it), then they must consider Test 2 in order to determine if the location is a permanent workplace. If the same workplace is attended for a period of continuous work that lasts, or is likely to last, more than 24 months, then a rule widely known as the “24 month rule” is applied and the workplace is treated as a permanent workplace. Note: the regulations above use the term “or is likely to last, more than 24 months”. This potential to last more than 24 months is very important and is often missed by contractors and accountants alike. The issue is one of predictability; can you predict that you will be attending the site for more than 24 months? As soon as you can, you must treat the site as a permanent workplace from the point at which you can make that prediction. The legislation is written in terms of the length of time that it is reasonable to assume, or is likely, that the contractor will spend at a workplace. The effect of the rule is not altered where the expectation does not match the outcome. So, if a contractor expects to be at the same workplace for 24 months (making it permanent), and does not actually complete the period, they are not permitted to make claims for business travel retrospectively. However, when there is a change of expectation to below 24 months, contractors can commence to claim from that date. If your initial contract to work at one site is 6 months, you can’t make this prediction and it’s a temporary workplace. If your contract is extended by 6 months, you still can’t, nor can you when it is extended a second time. But, as soon as it’s extended a third time, you can make the prediction that you “are likely to be” there for 24 months. At this point, you must stop claiming immediately upon signing the extension, even though at that time you would have only been there 18 months! Both the 40% and “24 month” rules are extended to apply where a contractor works at a succession of different addresses (which are in close geographical proximity to one another). Even though the actual addresses of the places of work differ, where they are all in the same general location (such as a business park or the same road), such that the change of the actual workplace has no substantial effect on the contractor’s journey from home to the workplace, they will be treated by HMRC as the same workplace. In this case, they will be aggregated for the purposes of both tests. This applies even where contractors are engaged under contracts to different clients! Summary: Which journeys are allowable business ones and which are not. Travelling to a workplace where a contractor spends more than 40% of their working time, is also travelling to a temporary workplace and is, therefore, allowable right up to the time when the duration of the travelling can be determined as “likely to last for more than 24 months”. From that point the workplace is deemed permanent and the ability to claim travelling expenses is lost. Ok, so we’ve established when a journey from home to site is a business journey. Now let’s look at what costs can be claimed when making that journey. Business travel expenses not only include the actual costs of travel, such as mileage or train fares, but also any other costs incurred during the business journey, including any expenditure on food drink and refreshments, often called “subsistence” costs. Mileage, fares, parking, tolls and taxis. Necessary food and drink costs incurred during the business travel. Accommodation costs (if an overnight stay is necessary). Certain meals purchased while travelling away from home. To qualify, costs must be attributable to the business travel and incurred because of it. Once it is accepted that you have incurred allowable business expenses, you can make your claim and ignore any costs saved when travelling for business purposes. For example, if you need to eat in a restaurant while on a business trip, a deduction is allowed for the full cost of the meal without any adjustment for the costs saved by not eating at home. What’s really generous is that the qualifying tests relate to the nature of the expense and not the amount you spend on them. Contractors can claim the cost of first class business travel, ignoring the fact that the same journey could have been made more cheaply in standard class. It’s also worth noting that the approved mileage allowance only reimburses the direct cost of using your own vehicle for business purposes. It does not prevent claiming additional costs attributable to business travel. So you can also claim car parking, tolls and taxis after parking. In our next eBrief, “Subsistence expenses”, we look at the reimbursement of subsistence expenses. What options are available to contractors? What if you work late or start early can you claim for the additional meals? How does the Benchmark scale rates system work? And do you need to keep all your receipts? Intouch Accounting has advised thousands of contractors since 2010, and helped many of them become Limited company contractors. 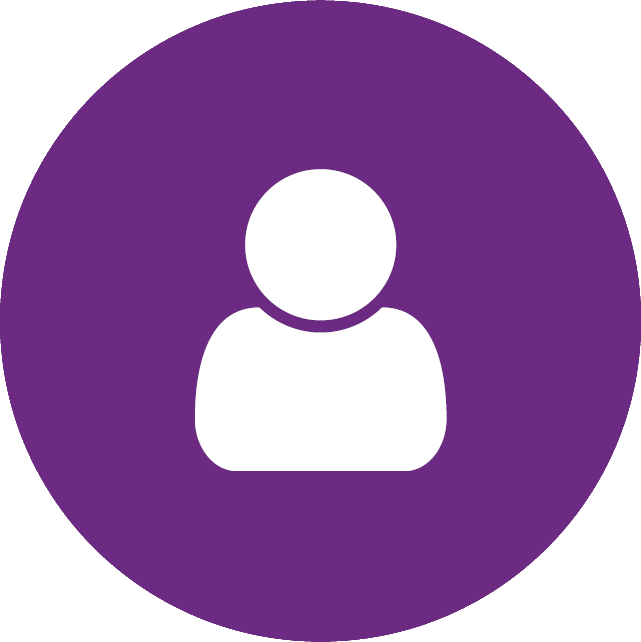 We have a experienced friendly team who can set up a company for you, manage your accounts and provide ongoing advice in relation to wages, taxes and expenses. Giving you the opportunity to just focus on your contract. As a Intouch Client you also get 24/7 access to our innovative Client Portal, which saves you time when managing expenses and invoices and lets you know where you stand at all times. You get all this for a monthly fixed fee. Why not explore what becoming a Limited company contractor means for you? Give us a call on 01202 901 385 on visit www.intouchaccounting.com and we can go through your circumstances and advise on what is best for you.